Look No Further! Your future home is this terrific 2-story, single-family with finished basement, and backs to Open Space! 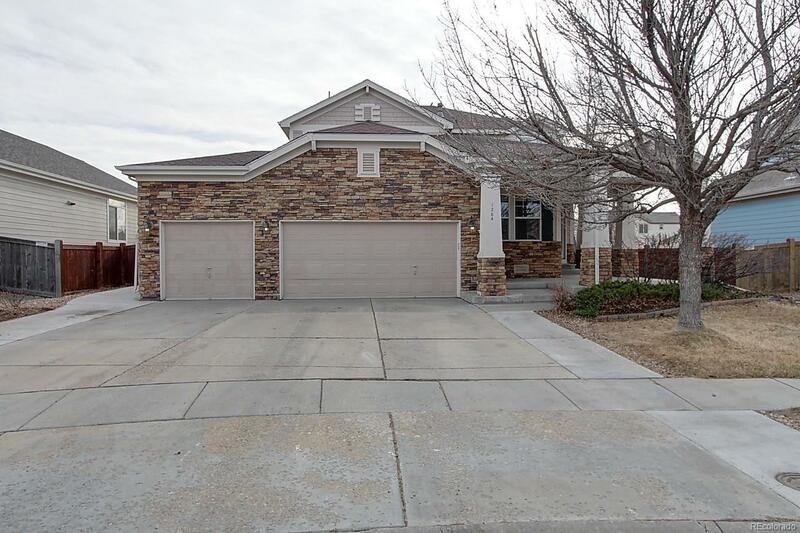 Covered front porch and 3-car garage welcome you to 5 Bedrooms and 4 Bathrooms. Main level has spacious Family Room with 2-story ceiling and gas fireplace, Private Study, large eat-in Kitchen with black appliances and walk-in pantry. Main-floor Master features private 5-piece bathroom and walk-in closet. Upper level has secondary bedrooms adjoined by Jack-and -Jill bathroom. Finished basement is perfect for young adults looking for some privacy! Relax and/or entertain in the backyard on paved patio with pergola, and enjoy roasting marshmallows on the built-in fire pit! Landscaped front and back yards with sprinkler system, along with HUGE built in garden area with paved walkway. Great home! Great neighborhood! Call now to schedule your personal showing!